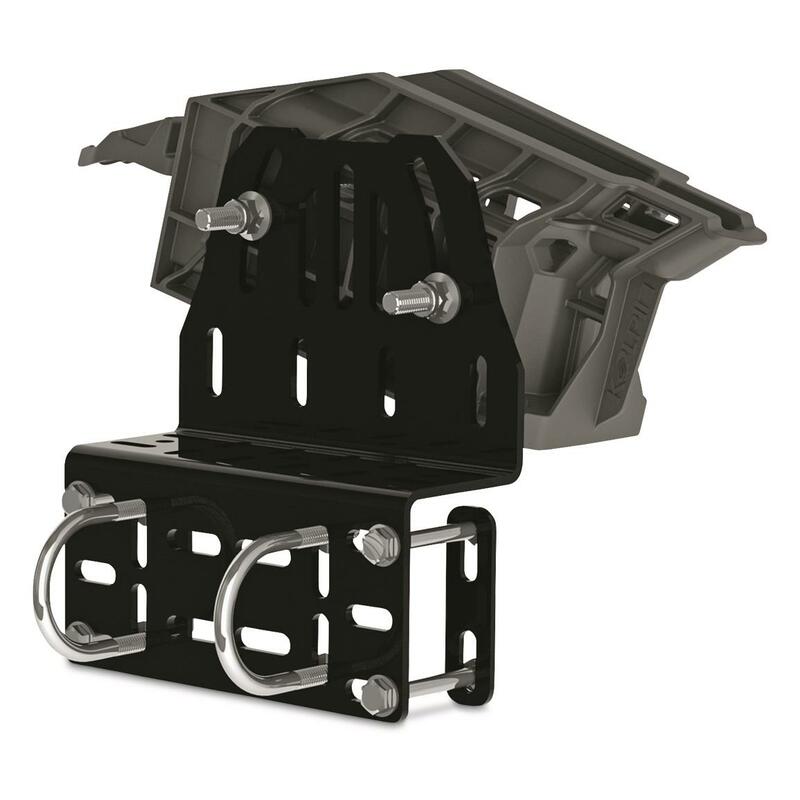 One mount gives you multiple options for securing tools and toys to your ATV or UTV with the Kolpin Stronghold® Autolatch Mount. It's the base for the modular and interchangeable system of rugged and durable transport cases, that will make sure you're always prepared to adventure confidently. A spring loaded latch with stainless steel spring easily holds and releases Stronghold gun, tool and ice fishing boots. 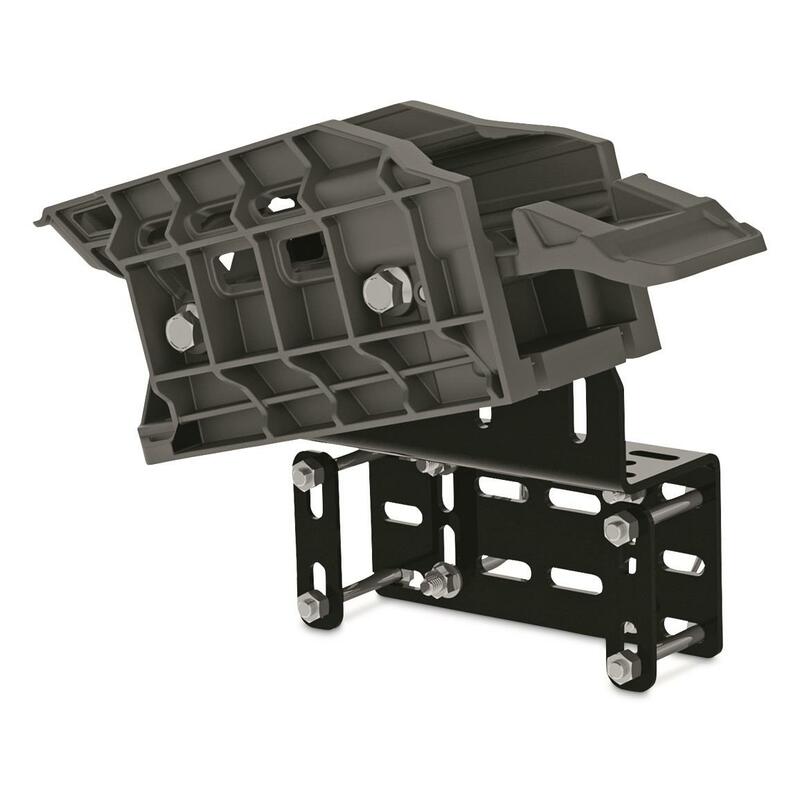 Precision angle adjustment creates a custom fit and attaches to most ATV tubular racks and UTV beds or other flat drillable surfaces. 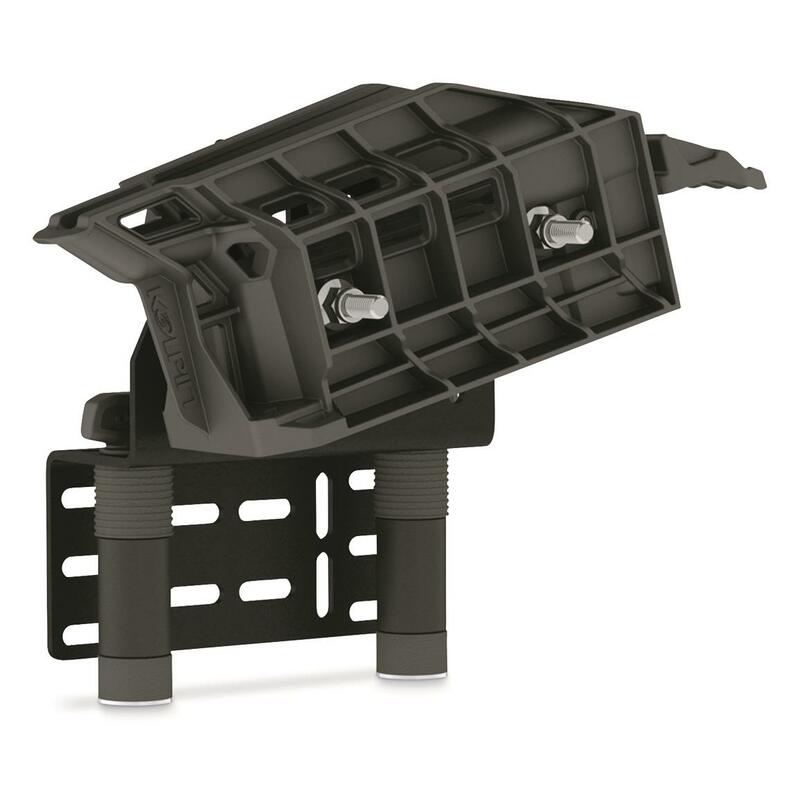 Kolpin Stronghold Autolatch Mount is rated 4.8 out of 5 by 14. 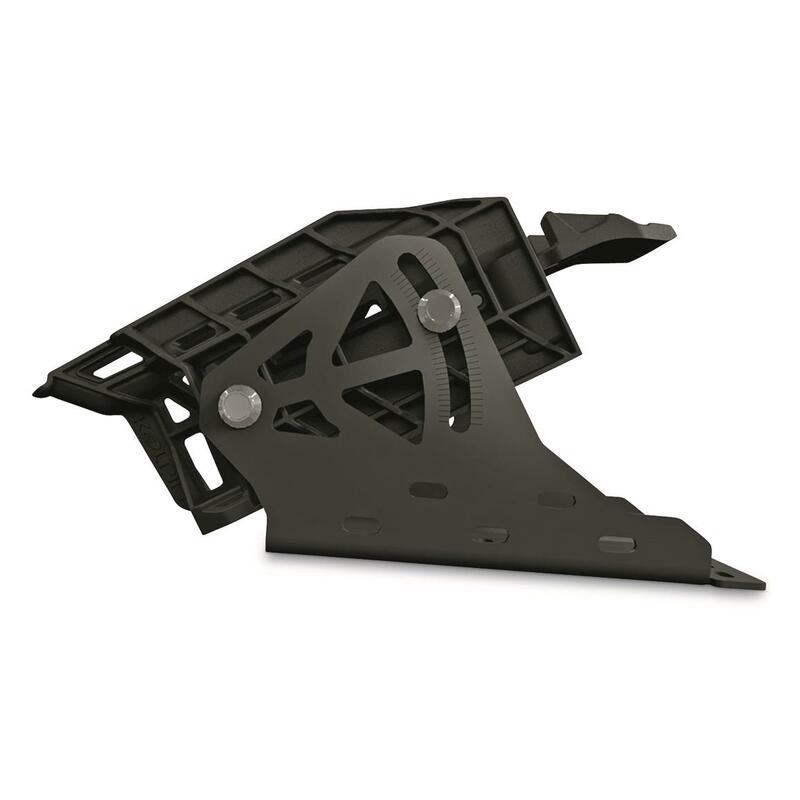 Rated 5 out of 5 by Larry from Das Boot Mount Awesome mount for my ice auger boot and shotgun boot down the road. Easy install on my Polaris ATV and easy on/off of attachments. 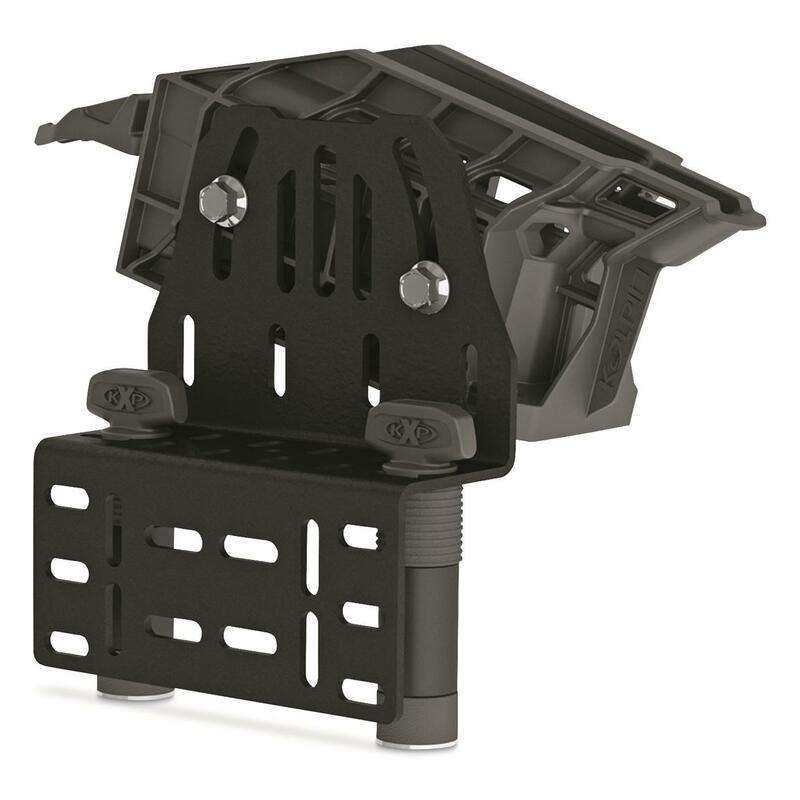 Rated 4 out of 5 by Rick from I would buy this product again Mount has good design and is well built. I did notice that unless you tighten the bracket that holds the boot all the way down and rest the end of the boot on a solid surface it tends to vibrate. Not good for scoped rifles. Once you tighten the bracket down the boot will not come out.